New. 2019. 1st Edition. Paperback......We ship daily from our Bookshop. New. 144 p. Scholastic Classics . Intended for a young adult/teenage audience. New. 144 p. Scholastic Classics . Intended for a young adult/teenage audience. In Stock. 100% Money Back Guarantee. Brand New, Perfect Condition, allow 4-14 business days for standard shipping. To Alaska, Hawaii, U.S. protectorate, P.O. box, and APO/FPO addresses allow 4-28 business days for Standard shipping. No expedited shipping. All orders placed with expedited shipping will be cancelled. Over 3, 000, 000 happy customers. William Shakespeare?s historic tragedy, Macbeth, chronicles the downfall of an ambitious man. Together, false images, a deranged wife, and his own rejection of truth lead him astray. However, Macbeth has no one to blame but himself, for he consciously chooses a path of evil, deliberately avoiding truth for his own advancement. He consistently blames fate for his actions in an attempt to justify himself, but at the same time realizes his own depravity. Hypocritical throughout, Macbeth allies himself with ?lower? men, murderers and thieves, and tries to allay his conscience by abusing them and praising himself. Its hard to review Shakespeare since most people consider him the greatest writer of all time. 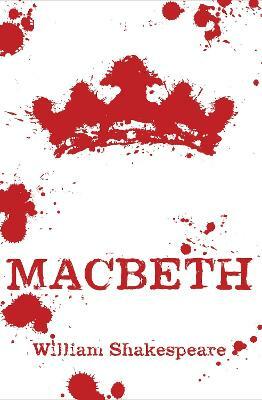 I normally do not like his plays, but Macbeth is different. I actually enjoyed reading it. It also gave me an appreciation for Shakespeare. Lady Macbeth is the driving force behind all the action. Its nice to see a powerful female lead. Okay she's the villian, but she's at least an entertaining one.